Ill be passing by fayettville on 95 around 1500-1600 on monday and will have some spare time. Sounds good we'll figure something out. I leave the week of the 23rd march so the very last week i wont be there. 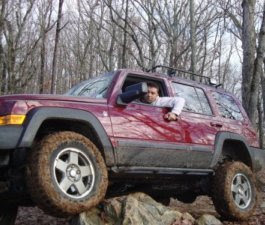 if youve got some local quick wheeling areas perhaps that would work but ill be at training all week and heading backto ga to be with family each weekend. I'm still planning on being around your area from Februrary 20 or so till the end of March. I have to drive right by your place every friday and sunday evening during that time period. Hey, bunch of cool XJ stuff on sale. Guy from my Jeep Club put up the link.